Updated: 22nd April, 2019 10:06 PM. 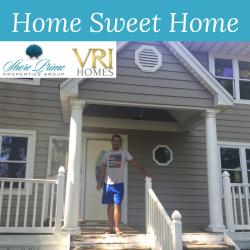 Michele and Debbie of VRI Shore Prime Properties were a wonderful team to work with regarding the selling my former home and buying another. They helped us find the house that was right for us in a competitive market. 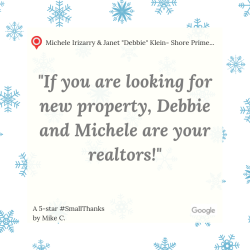 If you are looking for new property, Debbie and Michele are your realtors! I had a great experience with Michele Irizarry! She exceeded the expectations and did an excellent work and very honest!! Our dealings with Michele and Debbie was always pleasant and they were very helpful and accommodating throughout the whole process. I signed up for the automatic listings which is a great tool and the reason why we wanted to work with this team! It was a pleasure working with someone who was so accommodating and made renting a home such an easy process! 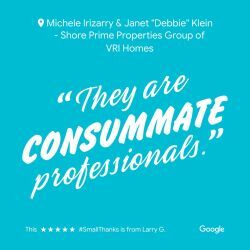 I would recommend Debbie from VRI Homes- Rumson to anyone who is looking for a knowledgable realtor. Thank you!